It is pretty easy to take air for granted. We can’t see it. We can’t taste it. We can’t smell it. We can’t touch it. We can’t feel it touching us. Or can we? Scientists who study the effects of the Earth’s atmospheric pressure tell us that the air that surrounds us and fills us up is always exerting an equal pressure against our skin of 14.7 pounds (6.67 kg). So while we can’t generally sense this pressure, knowing it is there can shift our awareness of the importance of air quality in a very tangible way! If the air that is pressing on us from outside and inside our bodies is filled with toxins, guess what is getting pressed into our skin, our lungs and every other surface of our bodies? No wonder air pollution, pollen, pet dander, auto emissions and other toxins can affect us so profoundly! In this post, learn 8 key reasons you should consider having your indoor air tested for quality either at home or at work. The Canadian Lung Association reports that the typical Canadian spends up to 90 percent of their time indoors on an average day. This wouldn’t be so concerning if our indoor air was squeaky clean. But in most cases, the indoor air in our homes and workplaces is more toxic (2 to 5 times more toxic, according to the U.S. EPA) than the air outside. This makes it easier to understand how we can retreat indoors to get away from seasonal pollen and actually feel worse rather than better! 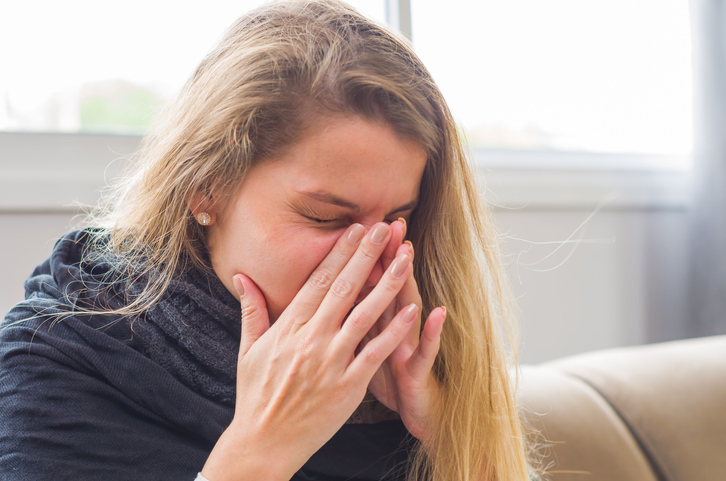 Indoor air quality testing can detect the levels of common allergens inside your home or workplace and help identify fast, affordable solutions to get you feeling better in no time. Radon is a naturally occurring gas that, like carbon monoxide, is both odourless and colourless. This makes radon very hard to detect! Even worse, radon is the number one environmental cause of lung cancer in Canadians. Every year, an estimated 24,200 people die from radon-instigated lung cancer throughout North America. What makes radon so deadly? For starters, it is everywhere—in our air, water, soil. Also, it is radioactive, which means in large enough concentrations it can damage lung tissue and cause cancer. Indoor air quality testing can detect radon and help you put a protective plan in place. Something as simple as a build-up of dust and dust mites, pet dander, local pollen or even insect or rodent waste (fumes as well as solid matter) and the pesticides used to combat them can start to trigger increasing asthma attacks in vulnerable individuals. When someone in your home or workplace suffers from asthma and the incidents begin to worsen and/or increase in frequency without any visible change in the surroundings, this is when it is time to suspect an indoor air quality problem. Indoor air quality testing can test for and evaluate levels of bacteria, fungi, pet and insect or rodent matter, pesticides and insecticides, local pollen, dust mites and other toxins and help you formulate a treatment plan. Combustion is a very common process in homes and workplaces today. For example, every time you cook, you combust something. Your furnace, fireplace, air conditioner—all use combustion to do what they do. Combustion is handy, but it also releases potentially toxic gases like carbon monoxide and nitrogen dioxide, among others. These toxins not only cause serious illnesses and death each year, but when the combustible gases build up, a single spark can cause the entire structure to catch fire. Indoor air quality testing can detect combustible gas levels to help you moderate your risk of future fire. As if there weren’t already enough noxious, toxic gases swirling around in our outside air, as you’ve now learned, these levels tend to be even higher in our indoor air. Indoor air quality testing can detect levels of toxic gases that contribute to sick building syndrome. Just the phrase “black mould” is typically sufficient to strike fear into the hearts of homeowners and business owners alike. Black mould can be deadly! But even "regular" mould and mildew can cause lingering health concerns that worsen over time and gradually diminish both productivity and overall quality of life. Mould and mildew can be difficult to detect, on account of how they like to hide out in damp corners and under moisture-rich piles of belongings, and even inside drywall and under crawl spaces, where you can’t see them. Indoor air quality testing can detect mould and mildew long before you see any visible warning signs. It is no secret the young and the elderly are generally at higher risk for each of the dangerous indoor air quality health issues we’ve explored thus far in this post. Indoor air quality testing can outline pressing air quality issues to help you safeguard the health of family and workers. Reason 8: To nip more serious problems in the bud! Sometimes you get a vague sense of unease, a sneaking suspicion something is wrong, but you can’t put your finger on what it is. This is precisely what indoor air quality testing was invented to figure out!